Gosh, I can’t believe this, but I have nearly finished writing the whole book of The Frendship Flame! I only have two or three more chapters to write, and then that’s it: it’s ready to be edited and published! The whole process is so exciting, but it’s really nerve racking, too: what if it isn’t a success and I’ve been kidding myself all along? The thing is, though, dreams don’t always have to be a picture in your mind, something you wish for: it can become a reality, if you work hard to get it, and that seems to be what I’m doing! I have lots of role models, such as my mum, Cathy Cassidy (my all-time favourite children’s author), and Lauren Oliver (another one of my favourites). Michael Morpurgo, Cathy Cassidy, Jacqueline Wilson, they all inspired me to be writing my books and achieving my dream, and you know what? It doesn’t seem so crazy, so impossible, now that I am getting close to officially achieving it. It just comes to show that dedication can go a long way. It’s crazy to think that by the end of this month, The Friendship Flame will finally be up and running and in the stores. It comes to show that when you put loads of work and effort into something, you always get something out of it. I want to thank all of my role models, including my best friends of all time, Emma and Natalia, for always being so supportive and helpful, Jenna, another best friend but also the best cousin in the world, and, of course, my little sister Amelia, for always managing to put a smile on my face. So many people have helped me along the way of achieving my dream, and I don’t think I tell them enough how much I appreciate it. A message to all people out there: never give up your dream, no matter what anyone says, because you know what? It’s not always as impossible as it seems. Work hard, and I can guarantee you’ll get it before you know it. I’m not saying it’s easy–it’s not– but you can always find a way. Whoa, time has been speeding along so quickly! The day of the release of The Friendship Flame is drawing closer and closer… I can’t wait, but it’s a little scary, too! I have just finished writing half of chapter twenty-three, so at the moment I am taking a quick break by writing this post, eating sweets and listening to music… the best way to keep motivated, in my humble opinion! I will keep you all updated on my progress as much as I can. I hope you’re as excited as I am! Wow, it’s been a long time since I’ve written a blog but, nevertheless, here I am! 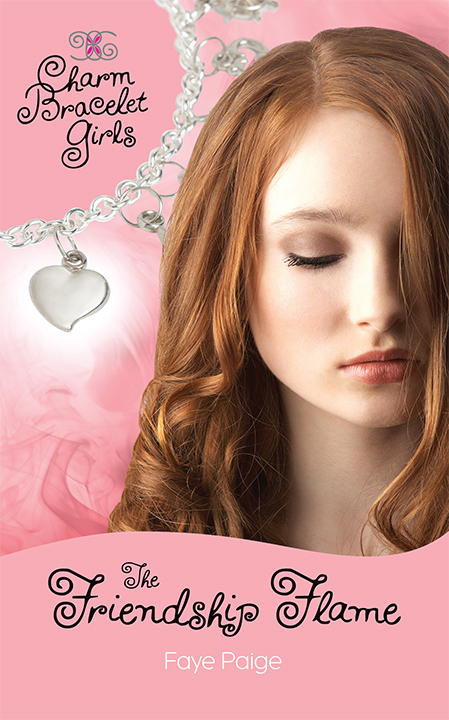 I thought I would let my fans know about the progress I have been making in my first book in the Charm Bracelet Girls series, The Friendship Flame! I am currently working on Chapter Nine, so I am definitely slowly but surely making progress with the book! To add to this jumble of excitement, I have set a date for this book to be released: August 2nd! That means I have just over 2 months to write it, edit it, get it into the correct format and publish it, but I’m going to give it my best shot! With my mother, editor and publisher (all in one!) at my side, I know I can do it! I am also making good progress with the book of fairy-tales I have been working on for approximately a year! Hopefully that will be out soon, too, although I haven’t set a release date for it yet. There are still a lot of things needed to be done with it, but I’m still optimistic!